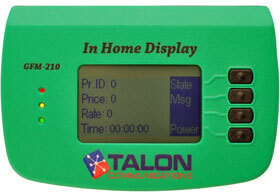 Talon continues its market leading line of In-Home Display's with the 4th generation SMART VIEW IHD™ platform. Once again, Talon has a market leading solution that is the lowest cost IHD device on the market while retaining full functionality. 2009: The GFM-210 offers more detailed information than the edot™ while retaining a very small size and low cost. 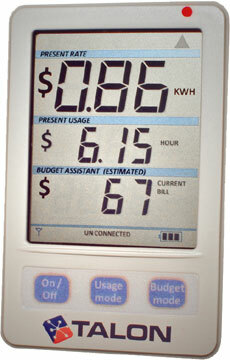 2008: Our next Smart Energy product the edot™ was the smallest, lowest power and user friendly device on the market. Truly in a class by itself, this In-Home Display offers market leading convenience, ease of use and affordability. 2007: Talon's line of Smart Energy products began in early 2007 with the world's 1st In-Home Display, the Fridge Magnet, built for Southern California Edison as a concept demonstration. Copyright © Talon Communications, Inc. 2001-2016. All Rights Reserved.